The Logitech G502 isn't just good for gaming; it's also good for everything you'll do on a Mac. If you’ve never been particularly enamored with the Apple Magic Mouse, may I suggest (deep breath) the Logitech G502 Proteus Spectrum RGB Tunable Gaming Mouse? It’s my personal favorite mouse for everyday use, and it’s currently on sale at Amazon for 41 percent off. That’s enough to bring the price down from $84.99 to a far more agreeable $49.93. And it’s worth it. When our sister publication PCWorld reviewed it in 2014, it rated it 4.5 out of five stars. PCWorld also listed its modern “Hero” incarnation as the “Best general-purpose gaming mouse,” and I can attest that this little powerhorse works perfectly for most tasks on the Mac as well. Unlike the Magic Mouse, it fits comfortably under your hand, especially if your hands are rather large. It has no wireless capabilities, but it comes with a beautiful, long cord. It has a USB-A connector, so you’ll need a dongle if you plan on using with a modern MacBook. 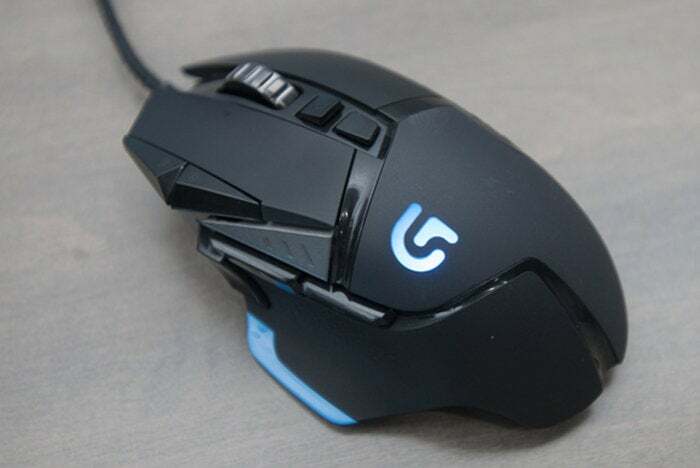 The G502 has 11 programmable buttons that Logitech elegantly incorporated into the design, and you can change the speed of your mouse’s cursor all the way up to 12,000 dpi with a simple click of a button. That makes it especially ideal for precision-focused apps like Adobe Photoshop. It even comes with adjustable weights so you further mold it into the mouse that’s perfect for you. It certainly looks like a gaming mouse, complete with elements that light up and an aesthetic that looks a little too much like a small spacecraft. But don’t let that dissuade you. Logitech claims that this was the best-selling mouse on the planet for a few years, and it’s not hard to understand why. I’ve bought two of them. Keep in mind that this kind of popularity means that this mouse might sell out soon, so hop on this deal before it’s gone. This story, "Our favorite gaming mouse is on sale on Amazon for 41% off" was originally published by Macworld.